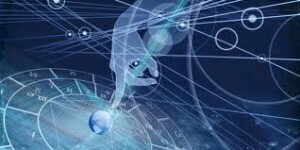 The natal chart reading is the astrological predictions that are made with the help of the time of birth. The astrologers take into consideration the location of the planets and stars at the time of birth. Based on the positions of the stars the predictions are made about the future. The expert astrologers say that even a minute can make a major difference on the future of the child. Now that we have got an idea of what a natal chart is and how it is important. We will discuss how natal chart reading without date of birth is possible. Technically it is bit difficult to make an exact natal chart without the exact time and place of your birth. However this does not mean that there is no other option. Still just be beware of people who tell you that it does not make any difference and they can still prepare a chart for you, for that chart is most likely going to be a false indicator of your horoscope. You can follow any of these techniques and know what the future has in store. These modes of predictions don’t require the time of birth at all. This is exactly why it is a safe bet for those who don’t know the time of birth. You can contact any one of these or at the maximum two. We will advise that you don’t consult all at the same time. This will only add to your confusion. A palmist is preferred because the lines of your palms can say more about your life than the natal charts. Apart from a palmist you can consult another one expert as you feel like. Many people say that natal chart reading without date of birth is not a possibility and as a result you cannot be recommended gemstones. Gemstones are basically given if some planet in your natal chart is weak. It can also be given for planets that are too strong. Well as a stone is given to improve the position of a planet. However it can be recommended even by reading your palm. Your palms have various lines as we already know. Each line has an importance of its own. Similarly the hand has a number of mounts. Each mount represents each planet. This is exactly why a palmist who reads your palm can recommend you stones. If the palmist finds that a particular mount in your palm is weak then he or she will recommend you a stone. When you wear this stone the effects of it will be reflected in your life. You will slowly feel the positive changes. Nevertheless, you meet a good palmist whom you can trust. Due to the absence of time of birth, the palmist might hesitate to recommend you stones. However, you must ensure that you keep the stone under your pillow for three nights. If you don’t get any bad dreams you can wear the stone. This is a very important test for those who don’t know the time of birth.